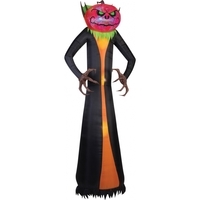 Awesome Airblown Giant Phantasm Pumpkin Reaper will add a large impact to your haunted yard decor! 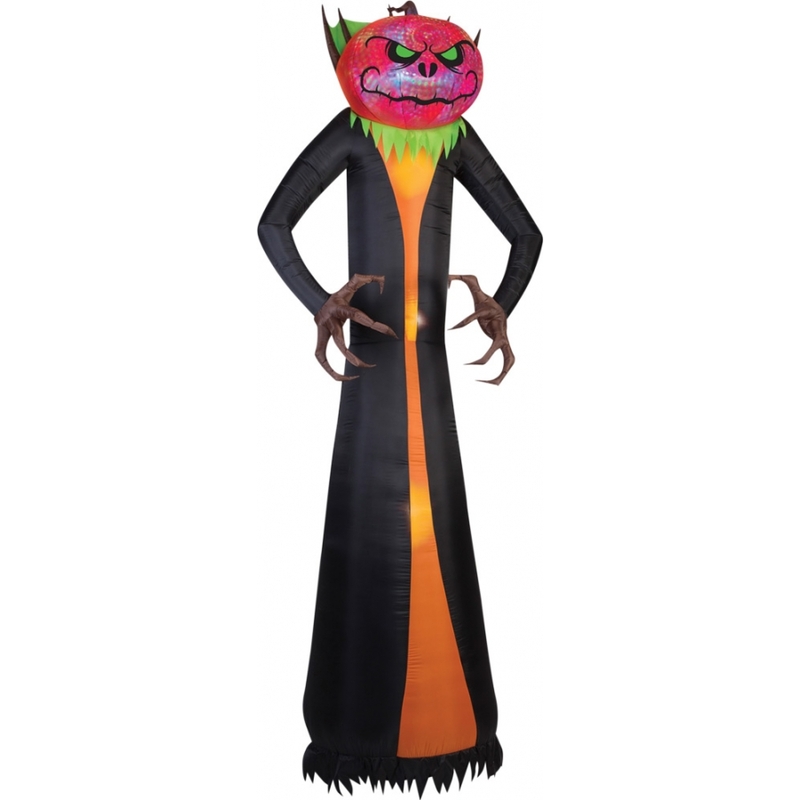 The sinister green-eyed pumpkin's head lights up with a mix of orange and red swirling kaleidoscope light! 12 feet tall! Airblown gives your decor maximum impact with minimum effort and it comes with everything you need for quick and easy set-up. You just stake it down and plug it in. Lights up with clear LED lights Self-inflates in seconds Deflates for easy storage Made of Fabric,60%; Metal,20%; Plastic,20%. Measures approximately 144 inches tall, 33 inches wide, and 51 inches long.